Andrew Nesi has been an integral member of HJ Sims’ highly regarded investment banking team since joining the firm in 2011. Andrew is responsible for managing client relationships in New Jersey, New York and New England. Andrew’s focus is crafting creative solutions to meet his clients’ specific financing needs, from funding new construction or expansion to refunding existing debt through a wide variety of capital market products including rated- and non-rated, tax-exempt bonds, direct bank placement of bonds and conventional bank financing. Andrew consults with a variety of senior living and Life Plan Communities, assisting with a range of financial services, such as strategic capital planning, affiliations, acquisitions, covenant relief and debt restructurings. The foundation of Andrew’s banking career was built as a corporate lender, serving primarily Fortune 500 clients in a variety of industries. His career took a special direction the day he toured an alcohol and drug abuse treatment facility. After spending the day with management and staff, Andrew developed an immediate interest and was inspired by the staff’s passion for helping people at their most vulnerable. It was that moment he chose to commit his time to working with health care clients, recognizing that he can help deliver their mission by supporting the business from a financial standpoint. Andrew continued to gain valuable, longterm care finance experience over the next twenty years, notably as head of The Bank of Scotland’s national senior living practice, where the bank served as lead agent in $3 billion in debt financings. Andrew has an impressive spectrum of financing experience with health care providers throughout his career – from acute care and psychiatric hospitals, diagnostic imaging centers, medical office buildings to stand-alone assisted living, memory support and skilled nursing facilities. At Sims he has completed 25 financings, totaling $1.2 billion. His client philosophy is rooted in treating all clients with equal regard – whether a community that is experiencing financial hardship or an expanding community interested in refinancing. Andrew feels immeasurable gratitude when helping his clients attain their goals; he has a personal stake in customizing successful solutions to preserve the communities in which seniors place their trust and ultimately, choose to live. Andrew’s two favorite events are groundbreakings and ribbon-cuttings. Both of these client milestones fill Andrew with tremendous pride and undying respect for the challenging work of his clients and partners who perform each and every day to enhance the lives of seniors. He is thankful to play a small role in his clients’ success. Andrew enjoys working in HJ Sims’ New Jersey office. After all, New Jersey is home to Andrew – a “Jersey guy” from birth. He looks forward to spending time in Massachusetts, which is home to several close family members, including his two daughters, Rebecca and Emily, who are graduates of Emerson College and now Boston residents. Andrew has been married for more than 33 years to his wife, Joanne. Since he began his banking career, Andrew has traveled extensively, often being led to destinations far from home. However, shifting his focus from family (squeezing in personal interests where he was able) to having an abundance of time to explore personal interests is not as easy as one would imagine. Andrew has since become accustomed to his free time, cultivating interests such as his love of cooking and entertaining, especially around the holidays for a house full of treasured friends and family. Andrew holds a B. A. in Business Administration from Rutgers College. 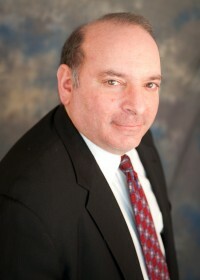 He is actively involved in the LeadingAge Massachusetts Governance Task Force, LeadingAge New York CCRC Cabinet and Connecticut CCRC Advisory Committee. Andrew is a former member of the Financial Advisory Panel of CARF-CCAC and is a frequent speaker at state and national conferences. Topics include taxable and tax exempt financing options, negotiating debt and covenant relief, debt restructuring, and financing new communities.